Heating systems in the Avon area receive a generous workout during the winter, with frigid temperatures and a long heating season. Even so, they can typically last well over 10 or even 15 years. Once your heating system has crossed this threshold, it may be time to consider a replacement if it needs frequent repairs or has major problems, such as a cracked heat exchanger. When you are ready for a new heating system, look no further than our team at Service Plus Heating, Cooling & Plumbing. We offer heating system replacement services for furnaces, boilers, heat pumps, ductless heating systems, and more. Our home heating experts have the equipment and knowledge to install your new heating system quickly and professionally, with as little disruption to your schedule as possible. We serve homeowners throughout the Avon area, from Hollowbrook and Turner Trace, to Austin Lakes and Stratford of Avon. Contact Service Plus today at 317-434-2627 for information about our newest available heating systems! Reduced energy usage – With technologies like two-stage heating, variable-speed blowers, and intelligent WiFi thermostats, today’s heating systems are extremely energy-efficient. Lower heating costs – As energy usage is reduced, your heating costs also become significantly lower, without sacrificing your comfort. Greater reliability – Compared to your existing system, a new model will likely be far more reliable and require fewer repairs. Improved comfort – With available zoning systems, two-stage heating, and variable-speed blowers, a new heating system can better adapt to your needs, while offering quieter operation and better indoor air quality. 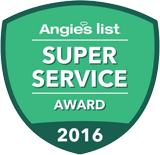 At service plus, we can help you choose the best system for your home, and we can provide a complete, professional installation. To learn more about the latest heating technologies, contact us today! We offer a one year “Test Drive” that guarantees you will be happy with your system, or we will repair it, or remove it and offer a full refund. For an installation quote in Avon or Hendricks County, contact us today! Once you new heating system is installed, you can keep it running efficiently and properly through regular preventative maintenance, such as changing the air filter and cleaning the burners or coils. At Service Plus, we can handle all the maintenance needs for your system, on a recurring or as-needed basis. We also offer complete repair services, if there ever is a problem. To schedule maintenance services for your heating system, contact us today! Whether you live near US 36, Avon Crossing or the Haunted Bridge, contact our team at Service Plus for fast, professional heating system replacements in Avon. For an appointment, contact us at 317-434-2627 today!